The seizure of a U.S. underwater glider is an exceptionally brazen and illegal move by Beijing in the South China Sea. Friday’s news of a People’s Liberation Army Dalang-III-class submarine rescue ship illegally seizing a U.S. underwater naval probe in international waters in the South China Sea earlier this week marks an unsettling and destabilizing moment in the evolution of U.S.-China disagreements over freedom of navigation and appropriate behavior at sea. According to the U.S. Department of Defense, the probe — a buoyancy glider in more technical terms — was seized 50 nautical miles (roughly 90 kilometers) northwest of Subic Bay. A quick glance at a map of the Philippines’ Luzon coast and China’s nebulous nine-dash line claim in the South China Sea would suggest that the incident took place outside even China’s claimed waters, making it a particularly brazen act of unprofessional behavior at sea. Update: China reacted to the incident on Saturday by criticizing the U.S. for “hyping” the incident and saying that it was “strongly opposed” to U.S. reconnaissance activities, without acknowledging the location of the incident. “The Chinese side will take the necessary steps in response,” a spokesperson for the Chinese Ministry of Defense noted in a statement, adding that the glider would be returned to the United States “in an appropriate manner.” The spokesperson confirmed that the two sides are in contact through regular military channels over the incident. Also on Saturday, the Pentagon confirmed that it had “secured an understanding” with China that the glider would be returned. Below are five takeaways regarding the possible significance of the event. The development is effectively unprecedented in U.S.-China military-to-military interactions, but its occurrence during a presidential transition leaves one thinking of the 2001 Hainan EP-3 aerial encounter and the 2009 USS Impeccable incident. Neither of those occurred during a U.S. presidential transition, but came soon after the inauguration of a new president, with some analysts of Chinese strategic affairs convinced that they represented attempts by China to gauge the temperament of new U.S. administrations on security matters. The Impeccable incident in 2009 offer some points of comparison. As Chris Cavas reminds us at Defense News, on “March 8, 2009, several Chinese trawlers operated by naval militia harassed the U.S. Navy’s intelligence ship Impeccable about 70 miles south of Hainan Island in the South China Sea, attempting and failing to cut off and steal its towed sonar array.” In June 2009, months after the original March 2009 tensions over the Impeccable, a Chinese submarine collided, “inadvertently” according to the U.S. Department of Defense, with the vessel’s towed sonar array near Subic Bay. The first Impeccable incident occurred within China’s EEZ, while the collision was reported to occur “off the coast of the Philippines,” with no specification of whether it took place within the country’s disputed EEZ with China. In more recent years, there have been encounters that the United States has described as unprofessional, including unsafe aerial intercepts of U.S. surveillance aircraft over the South China Sea and a 2013 incident involving the USS Cowpens in the South China Sea. Reports note that the Chinese submarine rescue ship did not respond to attempts by the USNS Bowditch‘s crew to communicate. The Bowditch‘s crew was “asking over bridge-to-bridge radio to please leave it there,” Captain Jeff Davis, a Pentagon spokesman, said. “The only thing they said after they were sailing off into the distance was: ‘We are returning to normal operations,'” Davis added. Acknowledging the dangerous escalation possibilities presented by such incidents, the United States and China have agreed to both bilateral and multilateral mechanisms to increase inter-naval communication at sea and to prevent unsafe encounters at sea. Since their agreement to the 2014 Code for Unplanned Encounters at Sea at the Western Pacific Naval Symposium that year, both sides have finalized bilateral rules as well. The glider-seizure was illegal by any measure of international law. International legal experts and South China Sea watchers Julian Ku and James Kraska have already offered two excellent looks at this aspect of the incident at Lawfare. In short, the behavior that the Chinese rescue ship engaged in was not only highly unprofessional, it was an illegal seizure of a U.S. vessel in violation of sovereign immunity. Moreover, the Chinese vessel violated high seas freedoms of the USNS Bowditch under the United Nations Convention on the Law of Sea — a treaty China has signed and ratified. The legal aspect of this incident cannot be overemphasized given that it comes less than six months after China faced legal defeat at the hands of a five-judge tribunal at the Permanent Court of Arbitration over its capacious claims in the South China Sea and its behavior therein. Unfortunately, given the change in government in the Philippines — the once-enthusiastic plaintiff in that case — the reputational costs that had been anticipated for Beijing for being found in transgression of international law never quite materialized. A Chinese naval vessel engaging in what amounts to outright theft outside the nine-dash line should spur regional claimant states and certainly the United States to forcefully speak out in favor of international law. Speaking out in favor of international law cannot alone provide a fitting and proportionate response by the United States to an unusually provocative act by a Chinese naval vessel. While the fact that the Obama administration has barely a month in office before turning the keys over to the incoming Trump administration may complicate the ability to strategically react over the long term, various tactical options are available to administration in retaliation. In a sense, this week’s incident provides an adequate impetus for a high-seas-assertion freedom of navigation operation by U.S. vessels within 12 nautical miles of Mischief Reef — a move that various commentators, including myself, have recommended for some time. Informed speculation suggests that the Obama administration has avoided this FONOP on the grounds that it would prove exceptionally provocative in Chinese eyes, but this unprecedented provocation may demand an exceptional response — especially to underline the important principles of the international law of the sea that are routinely violated by Chinese naval and coast guard vessels. So far, Washington’s response has been to name China and insist on the return of the vessel by issuing a formal demarche, but doing so without emphasizing the centrality of freedom of navigation to U.S. interests in the South China Sea would be a missed opportunity. Beijing, in particular, differentiates between freedom of navigation for military and civilian vessels in exclusive economic zones — a distinction that does not exist under international law. If China faces no reputational costs over its unprofessional and illegal action in the South China Sea, it will have little incentive to alter its behavior. A ‘Small Blind’ Bet By China Against Trump? As mentioned above, this incident does leave one thinking of the 2001 Hainan and 2009 USS Impeccable incidents as tests by China of an incoming administration. Indeed, Donald Trump’s recent moves on China — including his call to Taiwanese President Tsai Ing-wen and repeated criticism of Chinese economic and security practices, including in the South China Sea — may well have caught Chinese policymakers off-guard. Trump’s flirting with a revision to the U.S. “one China” policy in particular has raised particular concern in Beijing, which regards U.S. compliance with its “one China” principle as a sine qua non for diplomatic relations. The Trump angle shouldn’t be over-considered here, however. This is not China necessarily placing its “small blind” bet, daring Trump to up the ante or lose credibility in Asia. Long-time Asia-Pacific security watchers will recognize a long pattern of unprofessional Chinese naval and aerial acts, designed to provoke Washington and slowly continue the assertion — and in this case expansion — of China’s claims. Beyond Trump, revelations regarding China’s deployment of anti-aircraft assets to its artificial islands in the Spratlys and a forceful speech by the commander of U.S. Pacific Command in Australia could both represent proximate causes for Chinese action. Finally, there is the idea that the Chinese submarine rescue vessel somehow picked up the U.S. glider inadvertently, but this interpretation holds little water. U.S. accounts put the Dalang-III-class ship within 500 yards of the Bowditch, with the vessel actively seizing a “clearly marked” U.S. glider. (There were two submerged gliders, one of which was recovered by the Bowditch.) Additionally, there’s also a low likelihood that the Chinese vessel acted as a “rogue,” without direct authorization from above. If there is a signal in all this for the incoming Donald Trump administration, it’s that China will continue to uncompromisingly push the envelope on what it’s willing to do to assert its claims in the South China Sea and it won’t “fold,” so to speak, on its core interests, which include territorial integrity and national sovereignty. Update: Trump reacted to the incident early on Saturday, by tweeting the following: “China steals United States Navy research drone in international waters – rips it out of water and takes it to China in unprecedented act.” The use of “research vessel” and “international waters” may suggest that the U.S. president-elect was briefed before this statement. In 2001, one of the reasons the Hainan incident involving a temporarily grounded U.S. EP-3 aircraft turned into a nightmare was because China was able to technologically survey U.S. technology, potentially abetting and accelerating its own development of advanced aerial surveillance technology. When early reports had emerged of a U.S. “unmanned underwater vehicle” captured by a Chinese vessel, a similar concern struck me. However, knowing that this is a buoyancy glider, the odds of a serious qualitative intellectual property edge being lost are moderate. First, China has made fairly impressive domestic strides in underwater glider technology (see reports here and here). According to the U.S. National Oceanic and Atmospheric Administration (NOAA), gliders “may be equipped with a wide variety of sensors to monitor temperature, salinity, currents, and other ocean conditions.” As Sam LaGrone explained at the U.S. 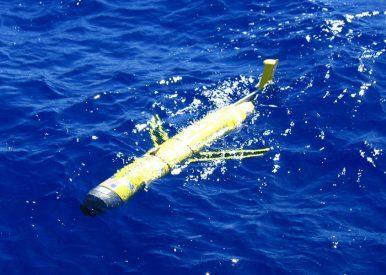 Naval Institute’s website, “gliders largely use unclassified means to collect data for the Navy’s charts and ocean models.” Submersible oceanographic data collection can also assist in anti-submarine warfare reconnaissance — an area where China’s Navy has devoted considerable resources, but lags behind the United States in general. The details around this incident will be subject to scrutiny in the coming days, as China responds and ostensibly works with the United States toward resolving what could easily become a major crisis and set the tone for U.S.-China confrontation in the early days of the Trump administration. The “big picture” takeaway is that this is the first instance of a Chinese naval vessel illegally seizing the assets of a third-party navy within the exclusive economic zone of another South China Sea claimant state — the Philippines in this case. Above all, the signal sent this week cannot be misjudged. China’s plans for the South China Sea remain unchanged and its military will continue to assert its capacious, illegal claims with increasingly brazen tactics when necessary. Chinese official statements sidestep potential legal quagmire or future confrontation. South China Sea: US Flies Nuclear-Capable Bombers Near Scarborough ShoalRex Tillerson, Trump's Secretary of State Nominee, Has a Dangerous Idea for the South China SeaReality Check: The South China Sea Does Not Define the US-China RelationshipLatest US-China 'Unsafe' Intercept Incident Shows Continued Disagreement on EEZ SurveillanceUnplanned Encounters in the South China Sea: Under Control?